Studio 397 has released a first development roadmap on the changes coming to rFactor 2 this year. A month ago, Image Space Incorporated announced that Studio 397, a new development studio based in the Netherlands, will take over rFactor 2’s development, allowing ISI to focus on other projects. Since then, a few interview have reveals bits and pieces of the new studios’ plans, including the switch to a DirectX 11 graphics engine with virtual reality support, more licensed content and more. Hello everybody, and welcome to the first monthly roadmap update. 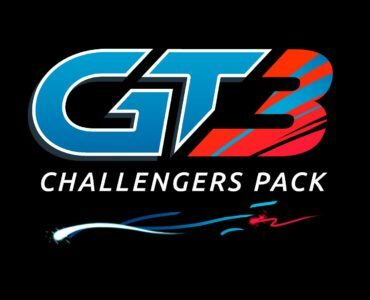 A month ago, at the SimRacing Expo, we announced the Studio 397 partnership and since then we have talked to a lot of simracing websites about our plans. Thank you all for your positive and honest feedback. We’ll keep an open dialogue with the community. Let’s start this update with some of the things we have been working on. A car we’ve teased before is the USF2000 and we are happy to report that it is almost ready for release. We are particularly proud of this car as we were able to build it with a lot of support from the series and teams so we’ve ended up with a car that is extremely accurate in terms of both physics and car model. On top of that it is also a lot of fun to drive and has become a favourite of many people on the test team. 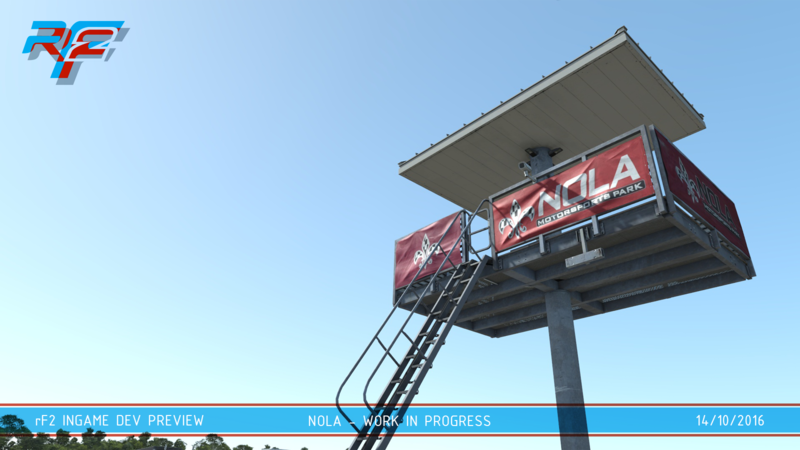 Our next track release is going to be NOLA Motorsports Park. Both the race and kart track will be available in different configurations. We’ve been working on it for the past couple of months. Most of the 3D objects are done and we’re currently assembling everything in preparation for further testing. On the development side a lot has happened. In the background we have moved everything over to new infrastructure that allows us to work on new features in parallel, ensuring that they are only added to the next release when done and tested. We have also spent time automating our processes and intend to use those improvements to deliver updates more quickly. Over the last year we have been working hard in close cooperation with the Stock Car community to improve the rules for oval racing. That work is still ongoing, and we feel we’re on the final stretch now! Announced a month ago, the development of the DX11 engine with VR support is still ongoing. This is obviously a big project and apart from building and integrating the new engine we also need to make sure that we stay compatible with our existing content. Our current timeline for getting this integrated is by the end of Q1 2017. We are also moving closer to the first public release that will be Steam only. It will definitely be released this year and is scheduled to contain a whole list of bugfixes and improvements to the codebase. I would like to take this opportunity to invite everybody that is still using the non-Steam version to take advantage of the free option to migrate to Steam. Future updates will start leveraging more Steam features so the only way to take advantage of those is to move to Steam. Finally, we have an announcement to make. We have secured a license with Radical sportscars and will be bringing those into rFactor 2. With full access to CAD drawings and performance data we can deliver these cars with a very high amount of accuracy. Work on this has just started, but we are very excited as these are great cars to drive and race! Oh yes, finally, Radical. Can’t wait to play with them. Radical is that sort of pilot car that every sim must have, something light that resembles a lmp2 lmp3 car. Kunos made a deal with Praga so it’s good to have some options between devs. I can’t find any contact information to studio 397? Is there an email address or something? I already contacted you via e-mail, Juha. HI mate. Nice to see you again around! Where have you disappeared?! VR for RF2 will be glorious. I like very much their approach! Good luck Studio 397! Curious to see how the sim will look in DX11. I personally feel Mr Offermans and Studio 397 taking over the rF2 development is a very positive move…very positive indeed. it sounds all very good. but i don t know how rf 2 can generate money out of it ? U can t beat other games with content titel like ac have too much allready. And every good/serious racer drives iracing and without a clever multiplayer system i see no chance to switch from iracing to a titel like rf2 if u want competitive simracing on high level. league race is not what i want from a game and thats not what ppl want who mainly play iracing or the mainstream AC user how does not care mutch about multiplayer on high level. I play iracing not because i like the physics etc. i just play it because i has no other choice in terms of mutiplayer. And ur rf2 league exist long time ago does it help rf 2 ? no! will it help to bring more ppl to this game ? No ! so thats my question to the devs of rfactor 2 how will they generate money on a long term ? This changes are good but that will not bring a iracer to rf 2 or a guy from assetto corsa ? If they would have made rf2 from 2010 than we would maybe not talk about it. But now what rf 2 is and what it coast to change i doubt that these changes are enough to get the hype back to rf 2. Sorry, but I can’t follow you. Your original statement was that there is no competetive online racing in rF2, wich is simply not true, considering that there are pretty decent people from iRacing who have or had a hard time winning in those rF2 leagues. That you don’t want to race in a league has nothing to do with the subject of, whether there is highly competetive online racing or not. And I hope you know, that there are AC and iRacing leagues aswell. require. And don t act like rf2 league is the same like iracing multiplayer…. 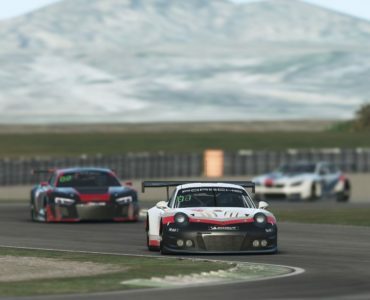 iRacing multyplayer is a highly structured environment for online racing and the same applies for most leagues with fixed schedules, race stewards, a fixed set of rules, a series with a set of tracks and a penalty system. The only difference is that you pay a buckload of money for iRacing to get highly structured pickup racing and a carreer ladder, wich is not that different from the usual ranking system that we find in FPS games. You can find this kind of progression in VEC or FSR aswell. Whether it is supported from the devs or not doesn’t bother the end user when he races. But this has nothing to do with how competetive the racing is. If you watch the Cloud Sport Road to Vegas Final for Long Beach, you will notice that the drivers are some pretty well known names from both rF/rF2 aswell as iRacing. The winner was an iRacer, but 2 and 3 were people from FSR, even in front of Greger Huttu. So the level of competition in rF2 can’t be that bad. At the end I question whether a structured system like iRacing will work for an open platform like rF2 though. iRacing is a closed platform for good reason. Not that I wouldn’t want it, but I question whether I would like to pay that price. the system of iracing is perfect and the only system which makes sense for simracing if u want to race and not drive. U can t play every 30 min. a full race in a league. And who wants to register in 10 diffrent leagues ? i don t. And don t act like league in rfactor 2 is something special… there lot of leagues which has member problems and coming short. And simracingsystem is the best example how bad the community around rf 2 and other sims are. No support at all for a great idea which every sim should have. lol oh really ? tell that to the FSR, WEC,VEC,SRA etc etc. Along with Radicals, I’d like to see a list of tracks that are guaranteed to work with them. Will Toban work with them? Or will I get constant full course yellows like I’ve gotten with other vehicles? More broadly, what content in rF2 are you proud of, Marcel? Or what content is up-to-date? Or what content should I bother reporting bugs on? For example, are there plans to update the historic open wheel cars? Obviously, it makes no sense to reported bugs on them since they are unfinished. Don’t get me wrong. I’m fine with abanding the historic content but I’d just like to know whether you are fishing or cutting bait. It’s impossible to evaluate the quality of rFactor 2 content (or features, for that matter) if you have no idea of what is done and what is not done. Believe me. I don’t expect an answer, but I’d like to know what is done, what is not done, and what is no longer being worked on. I simply can’t bother with a crap shoot every time I fire up the game. Would be interesting to know with wich vehicles you get constant fullcourse yellow on Toban and especialy wich config of the circuit. I had several races with the Dissenter on Toban Long and had zero issues, even without qualifying. Also check the plugin settings and look if the StockCar plugin is activated and how high your threshhold for full course yellow is actrually (“GPRIX Safety Car Thresh” in the player.json). There are also rfm multypliers for this settings, so if a mod maker sets this setting wrong, you get more FCY even if it doesn’t fit the racing series. That’s sometimes the price you have to pay for a more complex feature system: something that looks like a bug can have different reasons, some wich are caused by perfectly valid reasons like many possible settings for one single rule. One thing I would like to see though, is to set this up in the menu under rules. Right now it is possible to set it up in the flag rules, but you rule out other flagrules and penalties if you use the wrong settings. Sorry too much work. If it can’t just work then not interested. Everything starts with two minutes this or that then get sucked in. Bad for my personality. Before I know it, I’m making how to videos, etc. Really, I just need to stick with the oob stuff if there is any. The Maverick is not a mod although, sadly and like several other (all?) ISI-developed vehicles, does not distinguish itself as higher quality than mods since ISI clearly does not use QA checklists. Taking just a single example (which would have taken ISI two minutes to do correctly the first time or fix after the fact), which I address in one of the many instructional videos I have done for rF2, the Maverick, Cobra and other vehicles don’t have correct VEH files which causes duplicate drivers in races and also prevents having consistent drivers from race to race. 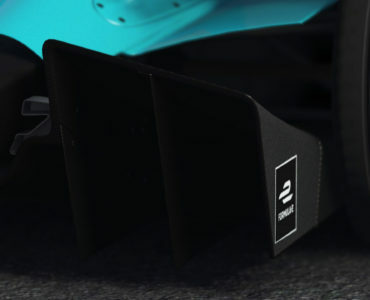 So are we all expected to learn how to unpack the files, how to modify the VEH files, how to repack the vehicle files, how to keep two versions of the vehicle if we want to be able to race online, etc. etc. etc. Why can’t Studio 397 just fix things? If there are legitimate and common things that need to be modified, then why not include them in the UI? And why not train end users on these things or make videos or make a user manual with quick start or ANYTHING? The reason is simple. Making this sim approachable is not a priority. Making high quality content is not a priority. Keeping content current is not a priority. If Studio 397 is simply going to continue ISI’s policy of low quality, then why would anyone bother when there are high quality, easy-to-use alternatives with great feel and fun content? Did you even read what I told you? You don’t have to unpack or repack anything. Just change a number in your player.json, or switch flag rules to another setting – wich in fact is in the UI. So either you are totaly stubborn and just want to complain about something, or you are willed to follow the advice that I gave you and fix your “problem”. The bonnet view is a different subject aswell as your complaint about the quality. I don’t have a better 70’s stock car and Toban at hand right now. 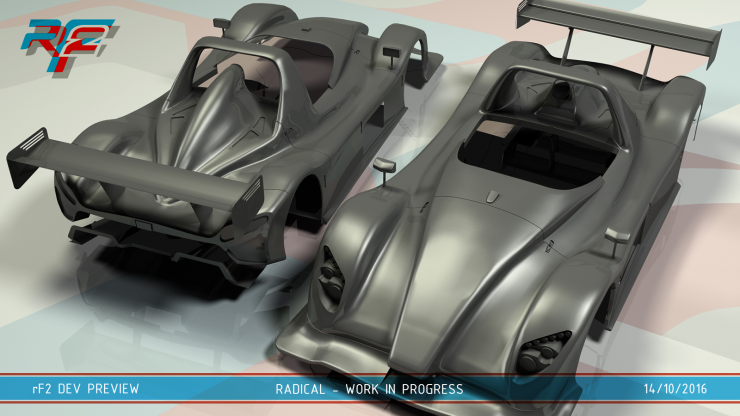 And I am sure that the Radicals will work with any other track in rF2, as does the stock content that we got so far. I never had one of your issues, besides the FCY, wich is as allready exmplained, fixed with a few clicks. Over and out. So again my recommendation to Marcel is to use a checklist for VEH files and include instructions for things to check such as FCY (or, gasp, turn them off by default if they don’t work). One thing ISI is notoriously guilty of is not changing defaults so that things work. Instead, sim racers spend years discovering this setting and that which break or unbreak things. Like anything else, ease of use comes down to priorities and nothing could be lower in priority historically in rF2…other than quality and that is because ease of use and quality are so closely intertwined. Well, the problem is, that FCY isn’t broken as you make it sound like, so there is no need to fix anything. Room for improvement certainly yes or some more fine tuning. There are different thresholds for different kinds of racing needed so what is your ultimate suggestion for it that fits all styles of racing by “default”? For the kind of incidents that happen it works pretty realistic for modern standards if you ask me. If you take a look at the settings that are adjustable in rF2 just in terms of flag rules, you will notice pretty fast that there is no way to get all this stuff in the UI. The complexity of rF2 is it’s boone and bane at the same time. I am sure there will be adjustments to the UI to improve certain things, but to make it perfect for everybody is something, that will never happen. Looking forward to seeing what Studio 397 can do with the game, rFactor 2 has so much untapped potential. Also, looking forward to running VR with the Rift as that is one of the reasons I haven’t played rFactor 2 for quite some time. So what differences will DirectX 11 produce? It is the topic actually, so maybe you should take a look at your initial comment and look at what you wrote. About your comment above JES: when you join a league, you don’t join it to have a race every 30 minutes. Most races exeed the 30 minute mark by far and I think you will have a hard time keeping your concentration for several 2 hour stints after another at that level. So maybe you should ask yourself why very good iRacing drivers actually join rF2 league races from time to time. Competition seems to be just allright. As I said, iRacing is hard to beat when it comes to quality pickup racing, in every other aspect not so much. No matter where you go: you will find good level of competition in every sim. That someone doesn’t drive iRacing, doesn’t make him a lousy driver or less serious. That’s complete nonesense. I race in a pCARS league that has fixed times for their race weekends. It has plenty of entrants with full fields. Much like real races have fixed date/times. The trick is finding a league that’s based in the same region as you(USA West for me). It’s a private Open Setup IRL(Indy Racing League). Also the last time I had an active iRacing account, official and league events are at fixed times. I suppose if you’re just a pubby, then iRacing would be more attractive. Me, I prefer racing the same group of people for whole seasons, much like in real world series.